The Lookout Mountain Circumference trail is part of the Phoenix Mountain Preserve in Phoenix, Arizona. The Preserve protects many of the granite peaks that project themselves upward in various areas of the Phoenix Basin. 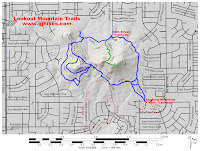 As its name implies, the Lookout Mountain Circumference trail, incircles the peak that goes by that name. Distances for the trail vary depending upon the route followed. For this post we began at the trailhead located at 15600 N. 16th Street. There is another trailhead at 14441 N. 18th Street in Lookout Mountain Park where there is also a restroom and water fountain. 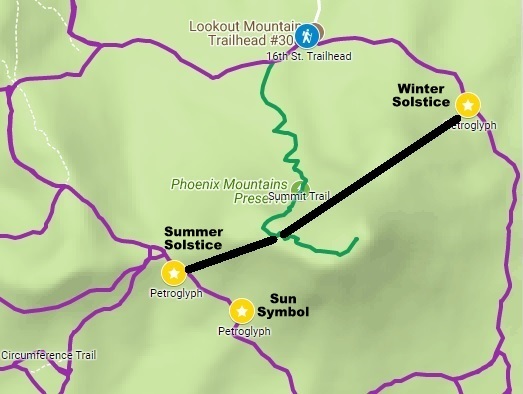 The trail starts out with a little climbing that is typical of the continual changes in elevation that occur as it routes its way around Lookout Mountain. The Summit trail branches off after a hundred yards or so. 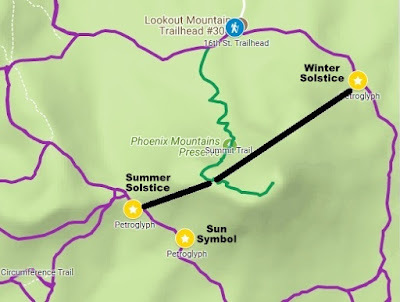 That route can also be followed to cut across a saddle in Lookout Mountain and reconnect with the Circumference trail. There are in fact many branches to the Circumference trail making the route taken completely arbitrary in places. 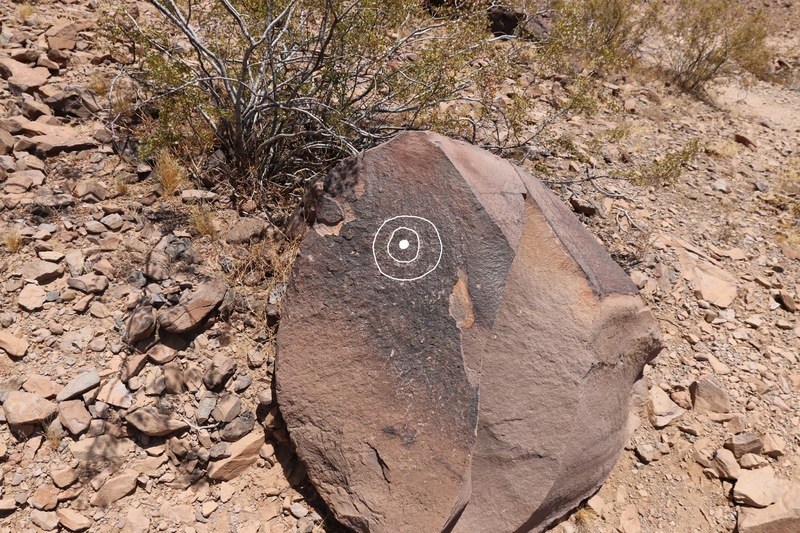 Not all of the spur trails are marked. Some are connecting routes to the surrounding neighborhoods and others are simply alternative routes to get to the same place or extend the distance. On the west side of the mountain there is an upper route and a lower route that can be followed. The upper route is more lateral and has connections to other options. On this trip we took the upper trail and looped all the way around the mountain and then took the lower trail. The upper trail is probably the more scenic route with more rocky outcrops and better distant views. The various routes converge at a saddle in the mountain where the options are many. For this post we continued around one of the designated routes near the midsection of the mountain. 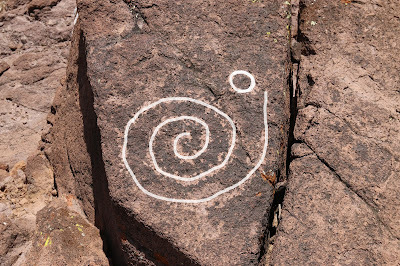 As the trail continues there is a boulder about 50 feet or so below the trail with a petroglyph of a spiral and possibly a few other indistinguishable figures. 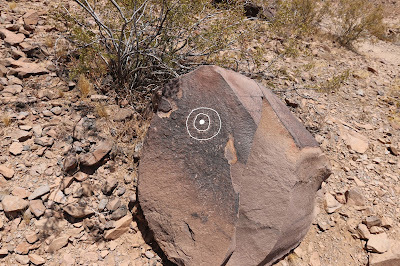 A little further around the mountain there is another rock with 3 concentric circles. We highlighted the images on our computer to make them standout. We also added their approximate locations to the map as we were wondering whether their locations on the slopes of the mountain might be of some significance. The 3 concentric circles probably represent the sun in this case. 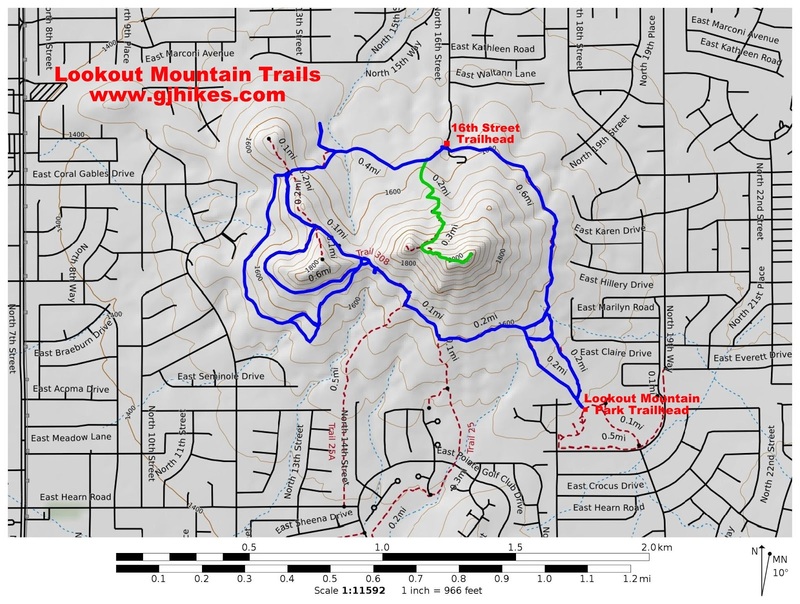 As the trail continues around the east side of the mountain there is a spur that runs down to Lookout Mountain Park where there is a restroom and water fountain. On the north side of the mountain there is another petroglyph on a small boulder next to the trail. This image is also a spiral but it has a different number of turns than the first spiral and is going in the opposite direction. 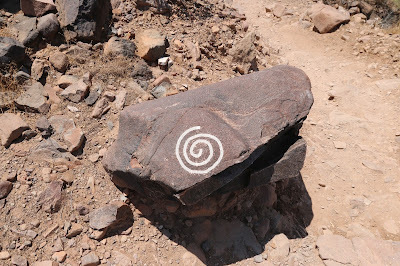 We probably fixated on the petroglyphs more than the trail itself but they are very interesting to consider. We couldn't help but to wonder how many we may have missed or whether there had been more of them at one time. 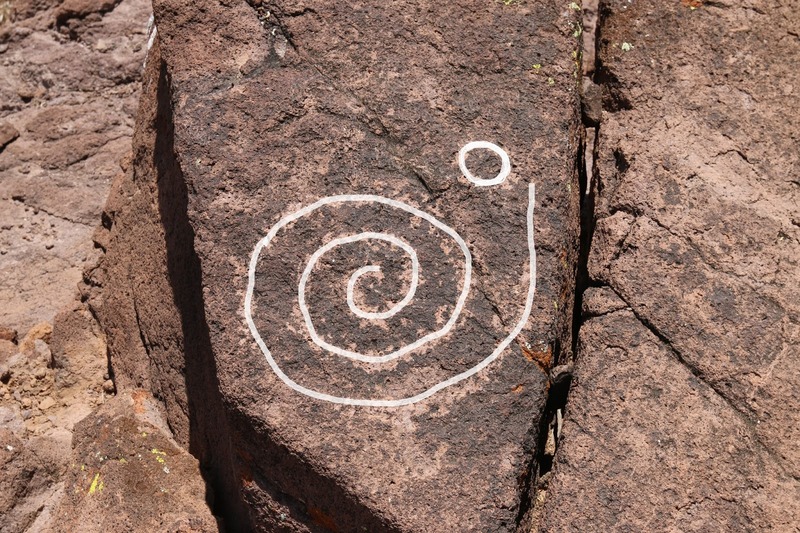 Unlike much of the graffiti of modern times petroglyphs were usually made by shamans rather than vandals and would have been created for a specific purpose. Other than the petroglyphs we saw only one other person on the day that we were at Lookout Mountain. If you would like to see it for yourself then all you have to do is 'Take a hike'.